What is the Cost of Adoption? Can I Afford Adoption Attorney Fees? How Much Does an Adoption Cost? Can I Afford Adoption Attorney Fees? The amount an adoption is going to cost is a significant factor to almost every family considering adopting a child. The short answer is that adoptions costs vary significantly from one to the next. Starting in 1995, our Nevada adoption lawyer has been facilitating adoptions and has seen many different situations – each of them unique. However, there are some costs that are common to different types of adoptions. For example, there are a number of fees such as a passport or visa, which is required during international adoptions. Domestic adoptions may include the birth mother’s medical and living expenses and counseling. Below we discuss some of the common costs and ways you may be able to offset some of them. What are Some Common Costs I Can Expect? Adoptive families will likely incur some costs regardless of what route they take to adoption. First, you must pass an adoption home study. If you are adopting a waiting child through a public venue, this may be cost-free. However, for all other types, the adoptive family is responsible for this cost. Then, some other typical costs include documentation authentication, program fees and adoption attorney fees. It is important to note that Nevada adoption laws stipulate that The Division of Child and Family Services (DCFS) will not charge a fee for the adoption of a child with special needs who is currently in the custody of a public agency. Nevada considers any child over the age of 5 to be a special needs child. Nevada also does not charge fees for relative adoptions (such as adopting siblings or adopting a grandchild) within certain parameters. This can also include adopting a stepchild. State fees for all other adoptions are calculated on a sliding scale, which takes the annual income of the adoptive parents into consideration. If you adopt through the DCFS and are not exempt from adoption fees, you generally must pay half of the adoption fee upfront when you file your application. The other half is due upon placement of your child. Due to the sliding scale, you will not have to pay the full Nevada adoption fee ($11,000) unless your annual gross income exceeds $90,000. The lowest possible fee is $550, which you will pay if you make less than $20,000 per year. However, these totals are different if you are considering interstate or international adoption. Additional fees you may face include fingerprinting expenses for each applicant (approximately $52 per person) a $750 expedited home study fee, which guarantees completion of the study within 30 days. The fee Nevada adoption by out-of-state parents is $3,000. 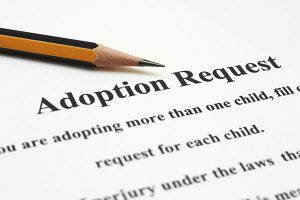 For the most accurate information about what adoption fees you will pay, speak to a Nevada adoption lawyer. Our law firm can help you build a personalized adoption budget. This will take into account the types of adoption that best fit your budget. Are There Ways to Offset the Cost of Adoption? Adoption is expensive; there is no way around that. However, by knowing costs and fees in advance and having a budget, the process becomes a little easier to handle. Contact Eric A. Stovall, Ltd. at its Reno or Las Vegas office for help with the adoption process and costs. We have been working with families for over 25 years and thus we understand that the expense of adoption can cause a financial strain. Because of this, we offer our adoption attorney fees in payment plans. We want to help you fulfill your dream of adopting and we do not want costs to dissuade you.